Sailor Moon is a Japanese media franchise based on the Pretty Soldier Sailor Moon manga by Naoko Takeuchi. The series made its debut in the early 1990s, with the anime premiere following soon after the manga started its run in weekly manga anthology magazine Nakayoshi. It quickly became a social phenomenon, gaining a wide audience consisting mainly of young girls, but with a sizeable proportion of both boys and adult women. The TV anime was originally intended to air for only one season, but due to the overwhelming response from the Japanese public it was renewed. It would go on to run for a total of five seasons. The series has iconic status inside Japan, and enjoys widespread recognition around the world, serving as a symbol of Japanese culture. Sailor Moon has proved a popular topic for reinvention, leading to a wide range of new projects like a live-action tv series and a musical. As part of the series' 20th anniversary project, anime re-boot Sailor Moon Crystal was released in 2014, broadcasting worldwide on web video services like Nico Nico Douga. Pretty Sailor Sailor Moon is set in a world overrun by evil forces determined to dominate the universe. The story begins when middle schooler Usagi Tsukino meets Luna, a highly unusual speaking cat that gives her the power to transform into the titular Pretty Soldier Sailor Moon. As the plot thickens, Usagi meets friends and fighting companions Sailor Mercury, Sailor Mars, Sailor Jupiter, and Sailor Venus, as well as the mysterious masked hero Tuxedo Mask who always comes to the rescue when Sailor Moon is in trouble. 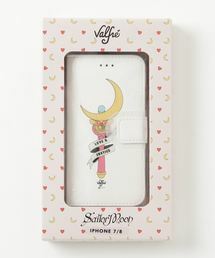 The key to Sailor Moon's lasting appeal is its timeless themes of love, friendship and fighting for a just cause, combined with a heady concoction of romantic imagery: princesses, jewels, the moon and stars. Sailor Moon is widely considered a pioneering work in the Magical Girl genre of manga and anime, introducing the revolutionary element of magical girls entering into direct battle with the forces of evil. The series single-handedly launched what can be called the Pretty Warrior genre, and clearly inspired the subsequent generation of manga and anime creators. A key part of the Sailor Moon story is Bandai's successful line of toys inspired by the series. 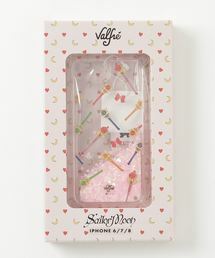 The company recorded sales of over 500,000 replica Moon Sticks, and over a million Sailor Moon R dolls. After these initial successes, Bandai followed up with toys based on transformation items and weapons from the series, eventually leading to total sales exceeding 100 billion yen. These first-generation toys now fetch a premium among collectors, trading at many times their initial retail value. This is a clear indicator of the passionate following Sailor Moon has earned, and continues to keep. 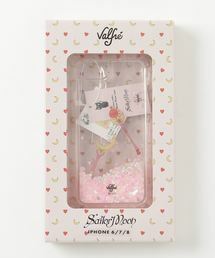 As part of the Sailor Moon 20th anniversary project, various brands and manufacturers joined forces to release a wide range of Sailor Moon-inspired items. At this time, Bandai established their new brand Proplica, dedicated to producing high-quality collectible items - primarily detailed replicas of iconic items from the series. At the Sailor Moon Exhibition, held over two months from April 2016, over 300,000 visitors went to the exhibition to view original illustrations and anime material by Naoko Takeuchi, first-generation tie-in merchandise and more. October 2016 saw the release of the Pretty Soldier Sailor Moon 20th Anniversary Book, which can be considered the culmination of the 20th anniversary project. With 2017 marking the 25th anniversary of the original anime premiere, we'll be keeping an open eye on new Sailor Moon developments and releases!